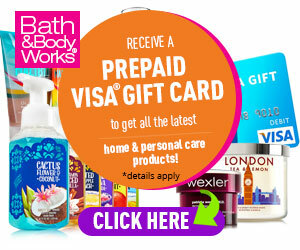 Do you shop at Bath & Body Works? Get a complimentary visa gift card to stock up on your favorite products by participating in this Sweepstakes run by Prime Rewards USA! You must be 18 years of age or older and a United States of America resident to participate in this service.